iTV channels carry some of the most popular U.K. TV shows, including Downton Abbey, Mr. Bean, Sherlock Holmes, Britain’s Got Talent, and more. 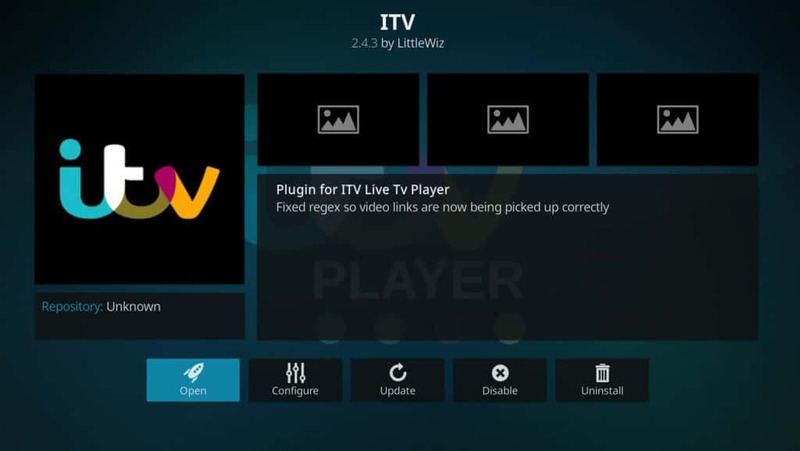 But how can you watch iTV channels on Kodi? And how can you watch them if you are located outside the U.K.? 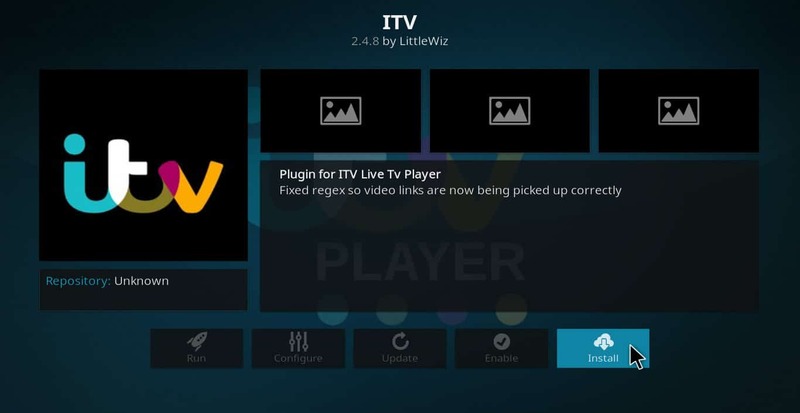 This article will explain how to install and use the iTV Player Kodi addon and watch iTV channels from all over the world. 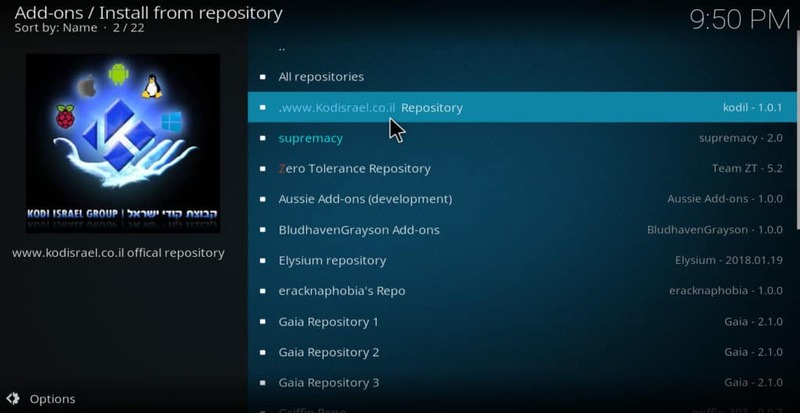 Kodi is an open-source software media player. 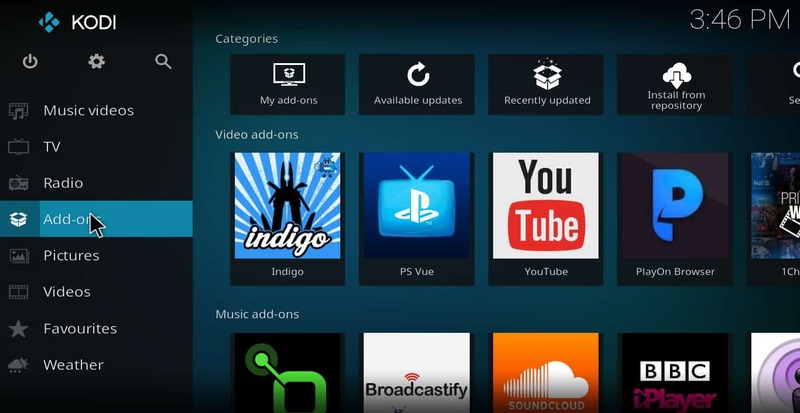 It allows users to integrate all of their media sources into one piece of software, helping to eliminate the need for web browsers or multiple proprietary apps just to watch TV. Kodi can be installed on PC, Mac, Odroid, Android, Raspberry Pi, Amazon Fire Stick or Apple TV. Whenever you stream TV or movies online, you should always use a VPN to protect your privacy. Internet service providers often have algorithms that search for users who stream video. If they find out you are doing so, they may throttle your speed to save bandwidth on the network. This can lead to buffering, a very annoying problem that can ruin your enjoyment of online TV. VPNs help to prevent this problem by encrypting your data in a private tunnel, keeping your online activities private. 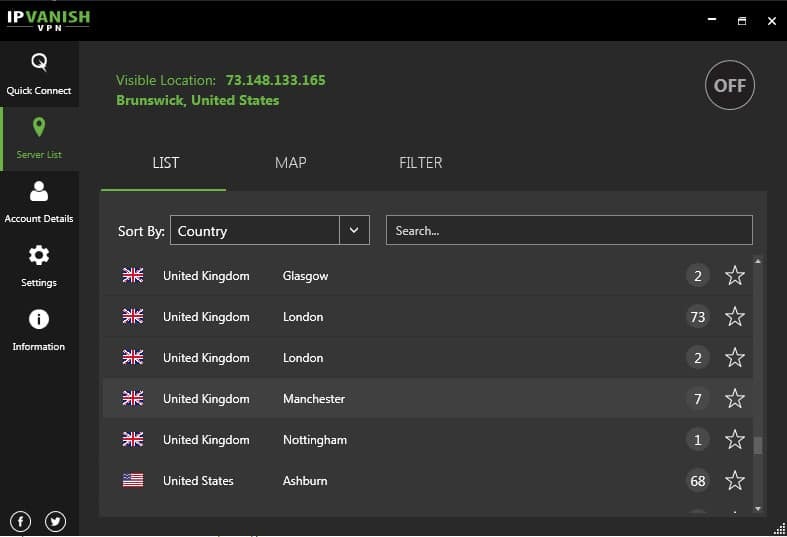 VPNs also help to unlock content that you are blocked from based on your location. 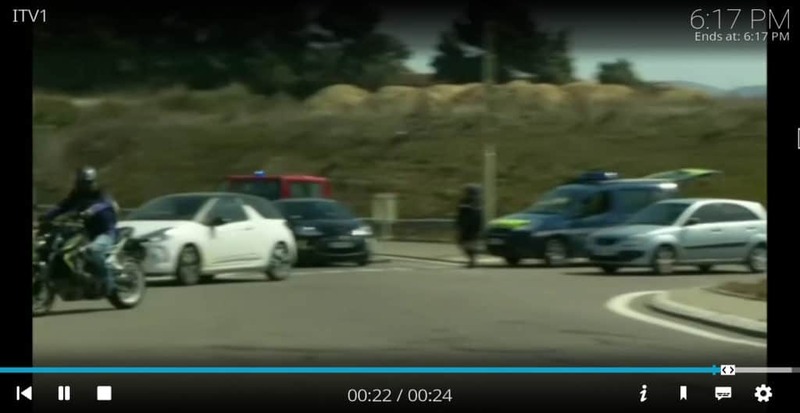 For example, if you are a U.K. resident traveling in France, a VPN can hide your location from streaming sites, allowing you to see U.K. TV shows that you would otherwise be blocked from seeing. Not all VPNs are good for streaming video though. Many don’t have apps for TV devices like the Amazon Fire Stick, are too slow to stream HD video, or create new privacy risks by keeping logs of users’ behavior. For these reasons, we recommend IPVanish for Kodi users. 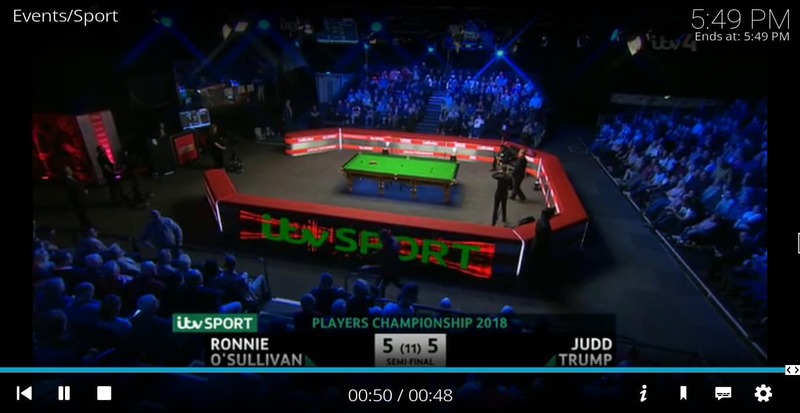 In our testing, it was fast enough to stream high-definition video without buffering. It has an app for Amazon Fire Stick and Nvidia Shield, and it has a strict “no logs” policy. 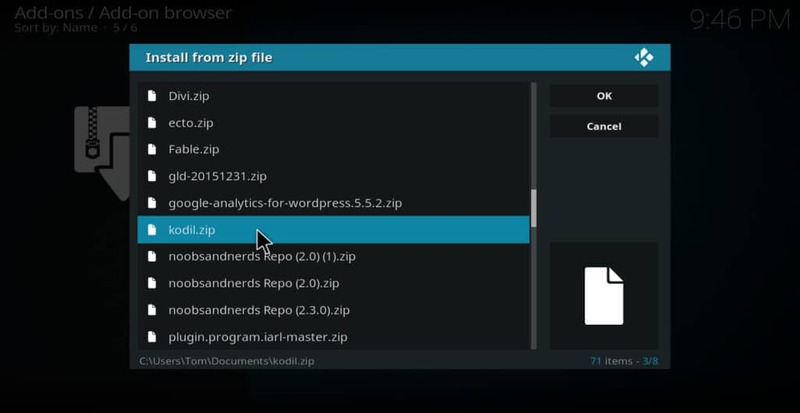 Open a browser and navigate to the github page for Kodil repo. Once you’ve got the addon installed, it’s simple to use. 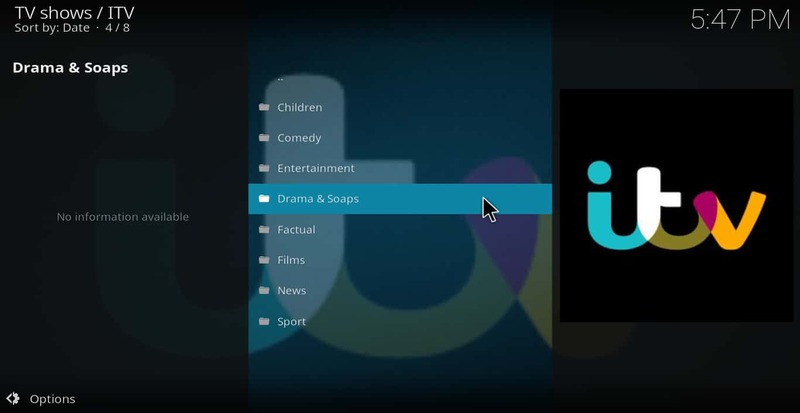 Click iTV from within the video addons menu of Kodi to bring up iTV’s main menu. 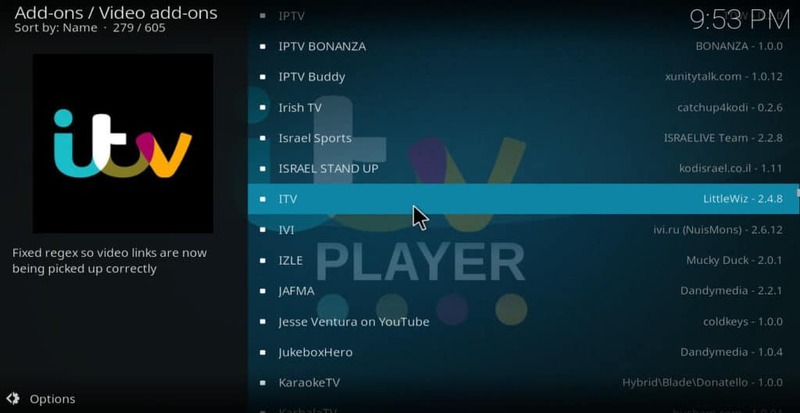 The options are Shows, Categories, and Live. Clicking Live will display a list of iTV channels. Click any of these channels to immediately start watching. 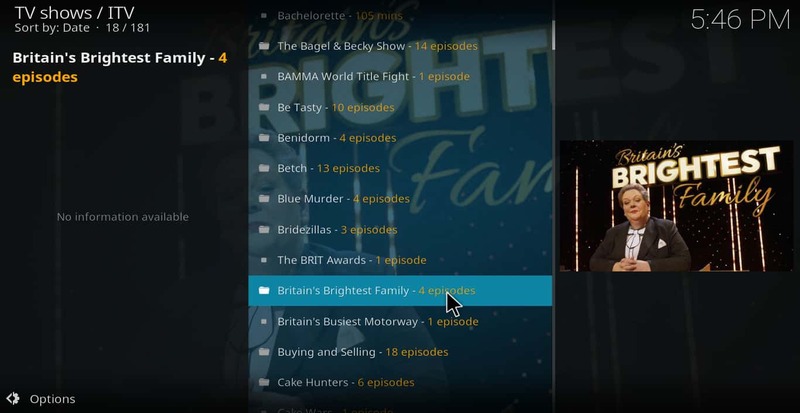 If you’d like to watch on-demand content instead of live TV, select Shows to get a list of all shows or Categories to browse content based on genre. That’s all there is to installing and using iTV Player for Kodi. But what should you do if you aren’t located in the U.K.? 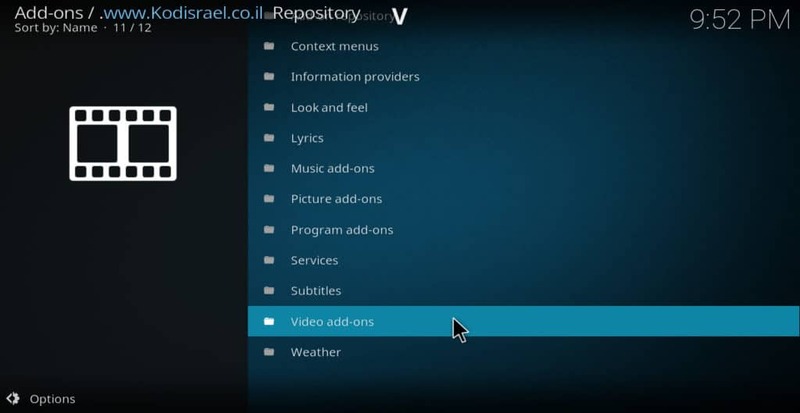 See also: Which cartoon Kodi addons are safe to use? 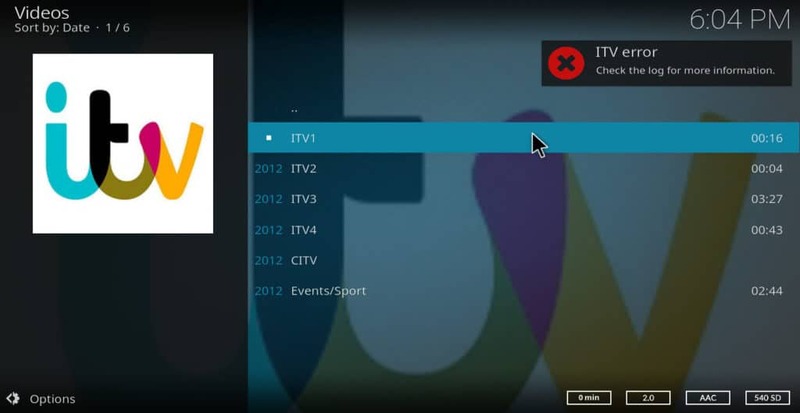 If you try to use the iTV Kodi addon from outside of the U.K., you may get an error message like this one. 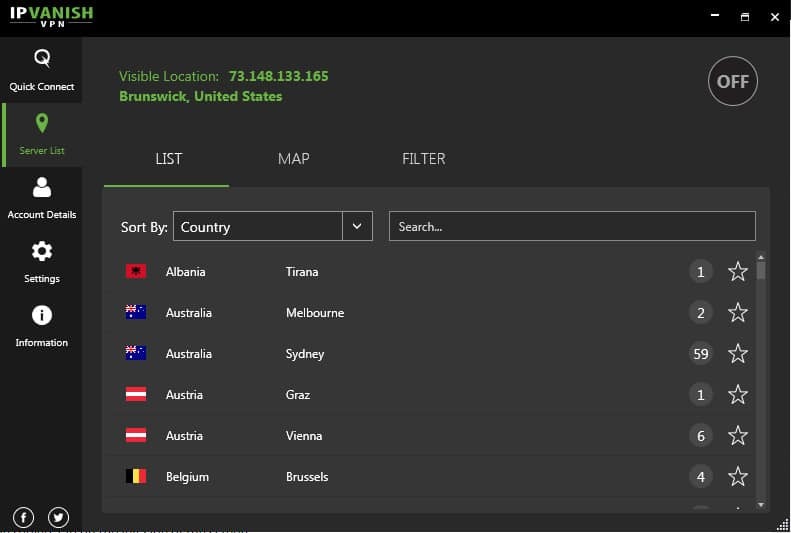 This can be avoided by connecting to a U.K. VPN server. 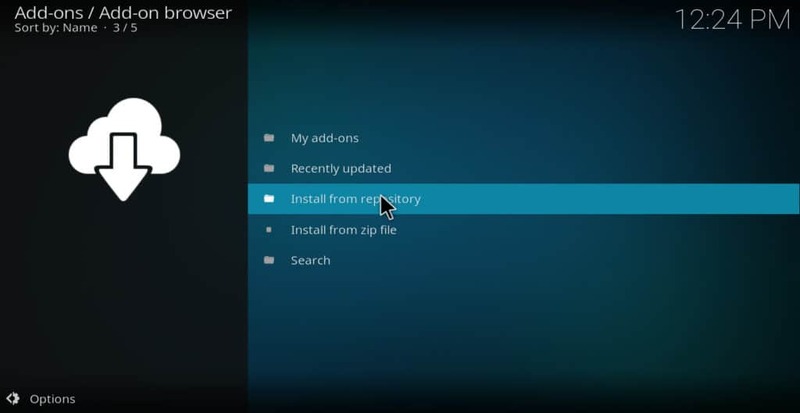 The instructions for how to do this vary depending on which VPN you use. 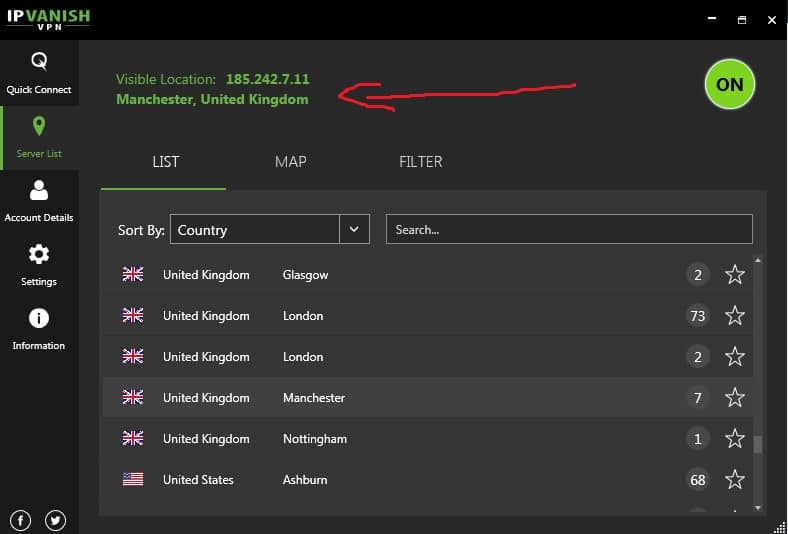 Here is how to connect to a U.K. server using IPVanish. 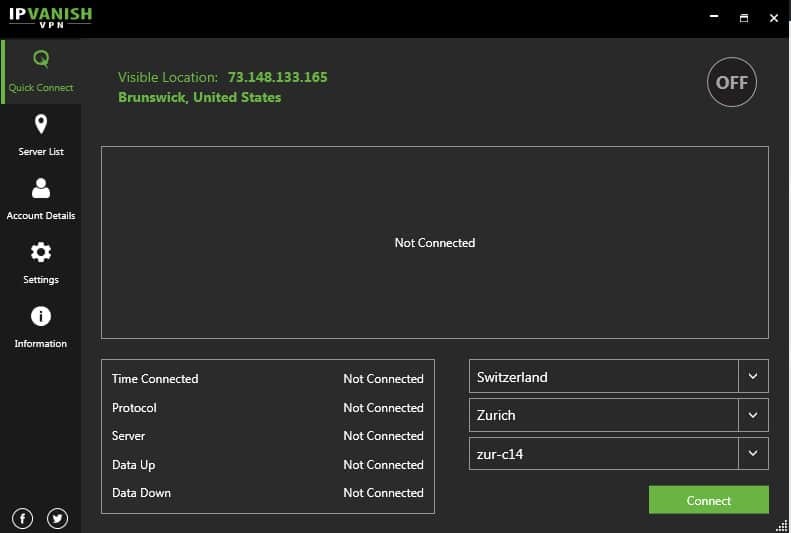 The first time you try to connect, you may receive a prompt asking you if you’re sure you want to switch servers. You may also receive a prompt telling you that you need to download a “tap” in order to connect. In either case, click “yes” or “OK” to continue. After a few seconds, you should be connected to the server. 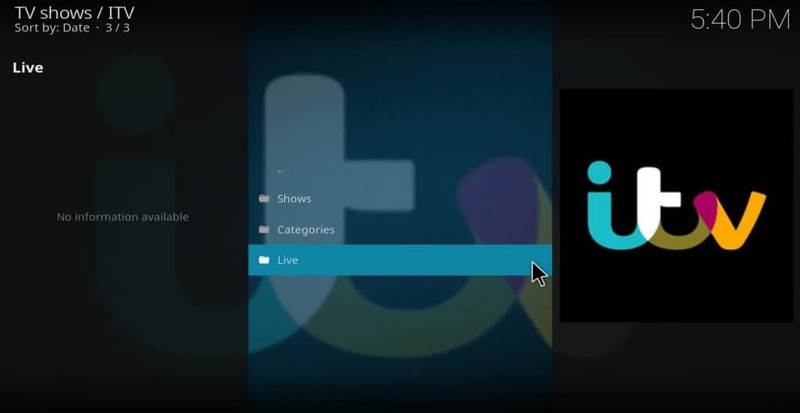 That’s all there is to watching iTV on Kodi from anywhere. 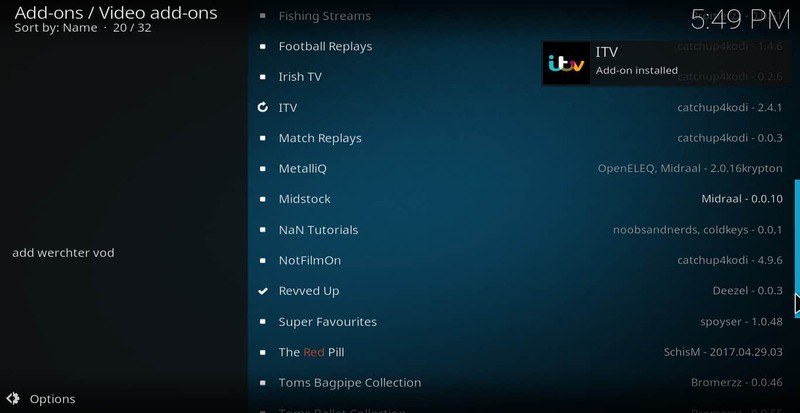 Read more: How to watch Tubi TV on Kodi and outside the U.S.
We hope you’ve found this article to be helpful. 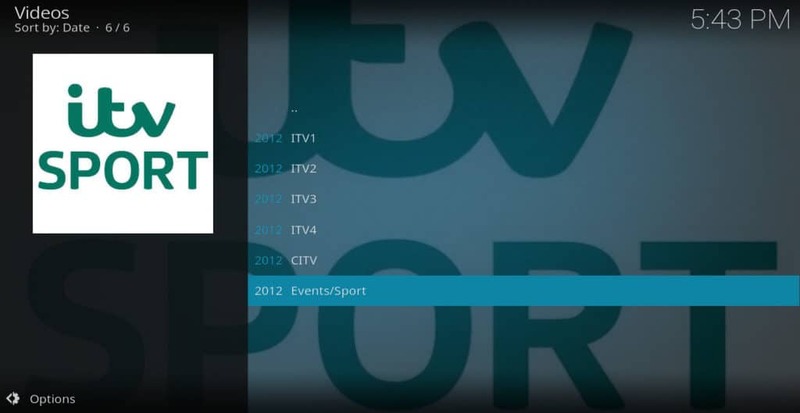 If you’d like to know more about how to get the best TV shows, movies, sports, and other content through Kodi, you may want to check out some our other Kodi articles, including How to watch Premier League on Kodi, How to watch ICC Cricket on Kodi, and The Best Addons to Watch Documentaries on Kodi.